The kit this month came with some beige leaves. 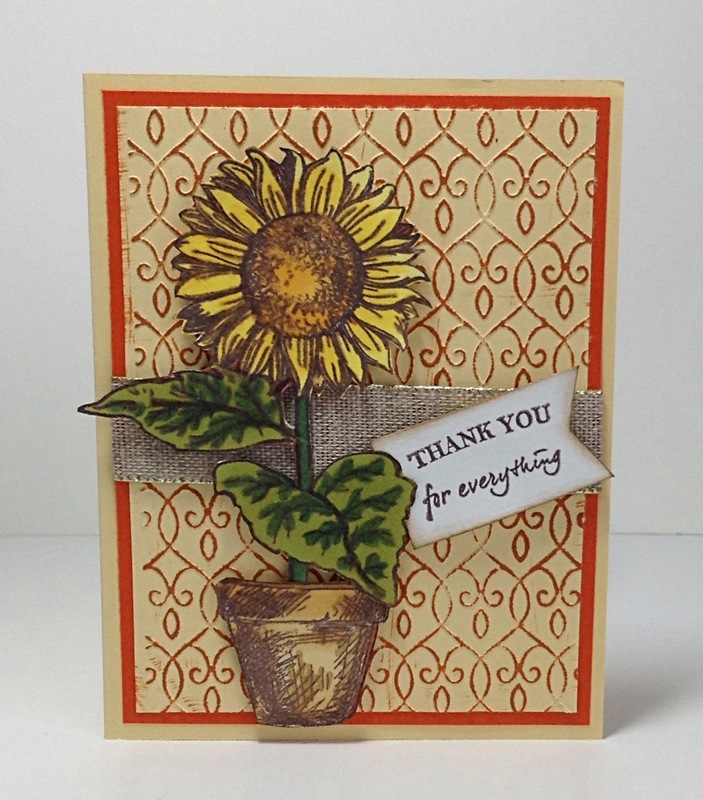 Those of you who know me well know I am not fond of beige…so…. I colored them! I wanted to try a different way of inking clear card stock. 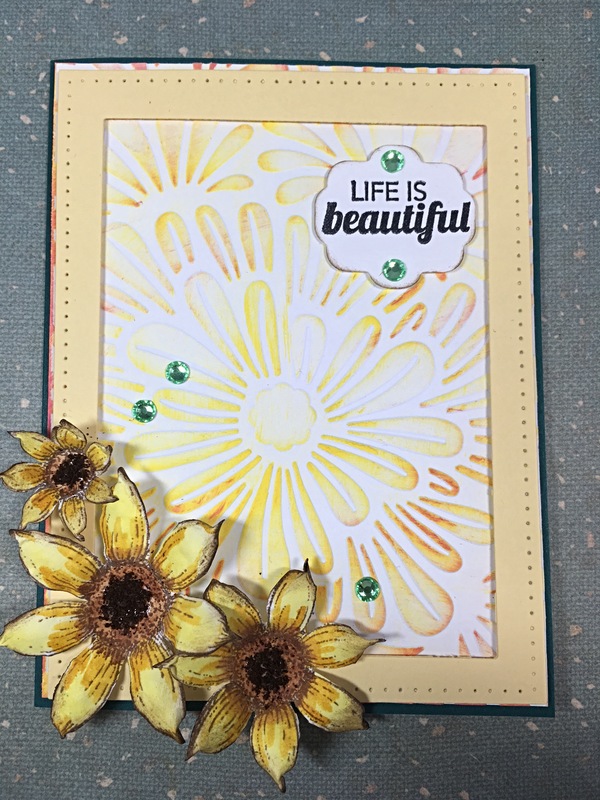 I embossed the clear card stock and then used alcohol inks. The effects were amazing and so much fun. 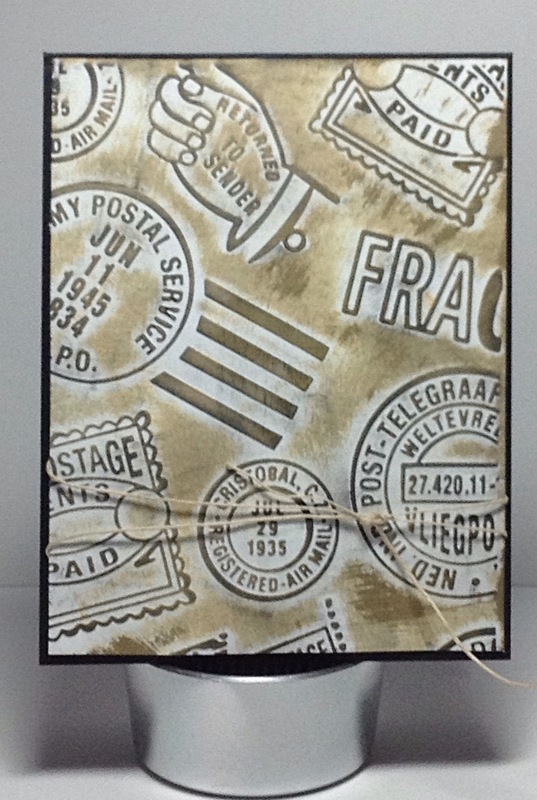 This embossing folder is called Handmade Paper by Tattered Lace. 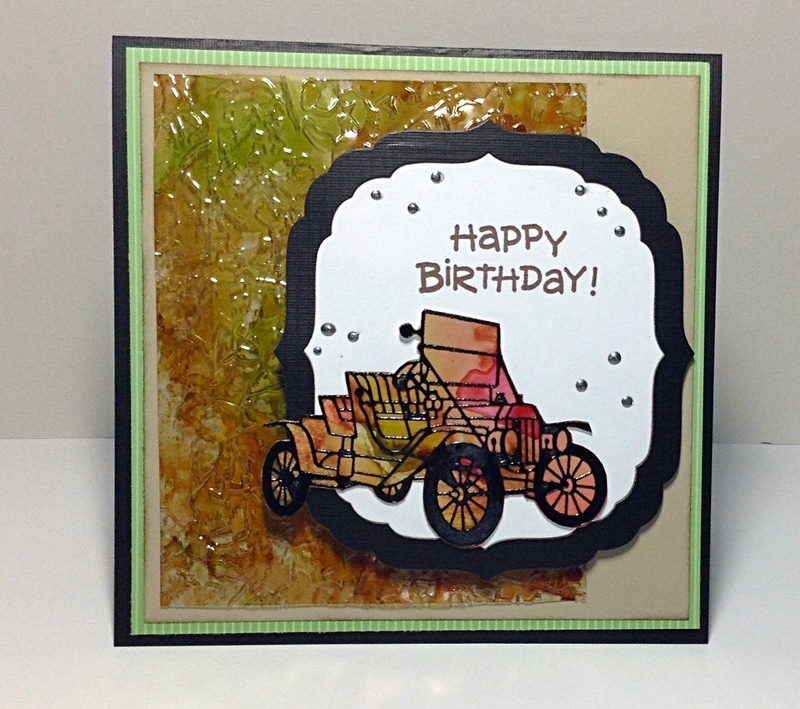 I used alcohol inks on glossy card stock to make the background for my vintage car. 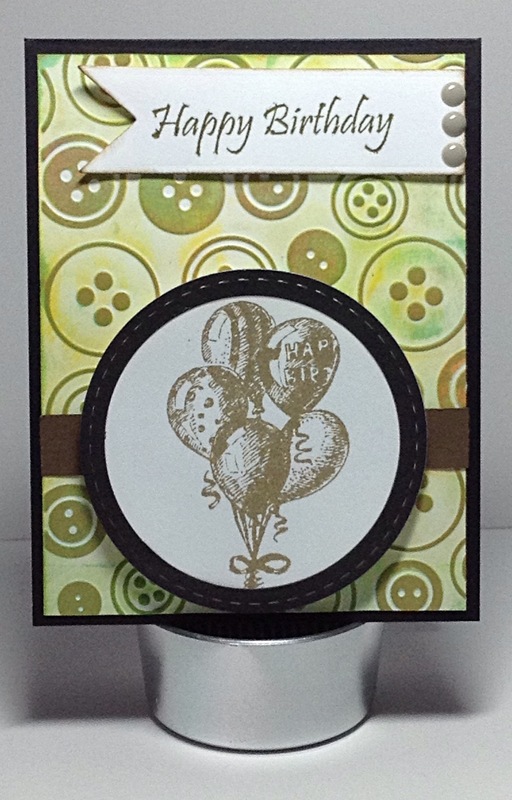 A simple design but very fun to create. 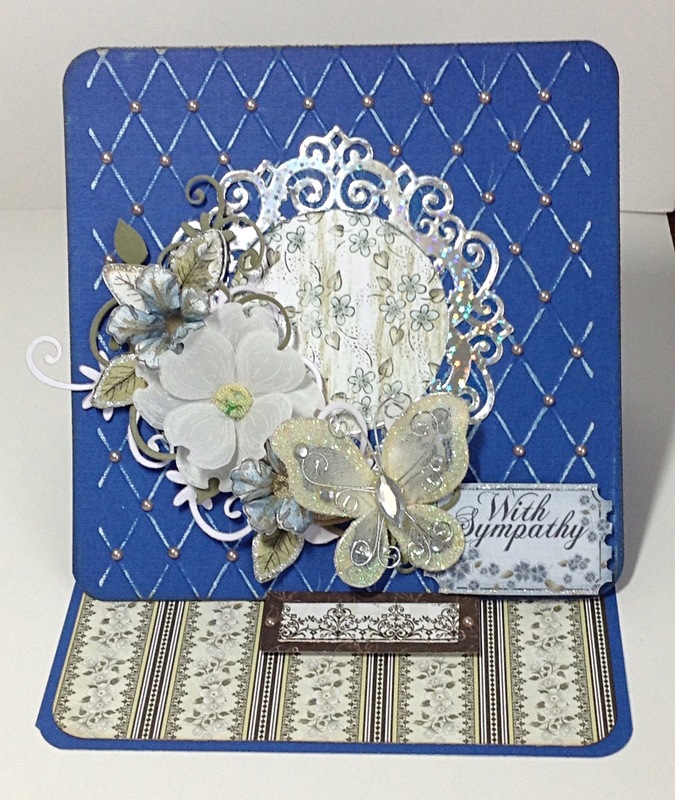 I hope you try some of your different embossing folders with this technique. Stay tuned for more backgrounds.